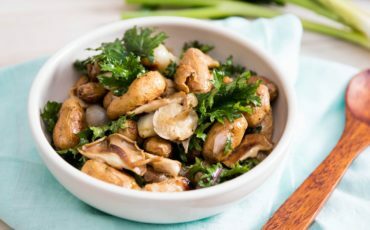 Fill a medium pot with some water and add sliced mushrooms in it. Bring it to the boil and let them boil for 15 minutes. Slice pickles, chop dill, lettuce and onion and put them in a large bowl. Add corn, seasonings and Cedar Nut Oil.